In the past few weeks, we’ve noticed an unusual number of articles about significant flood events that are occurring, or have recently occurred, around the world. Though it is far too soon to determine whether or not these floods are associated with climate change, projections for global rainfall variability suggest that more extreme and unpredictable flooding is likely in our future. The first step in preparing for such a future is recognizing and calling attention to these extreme events, and their real human security implications. Such reports are easily lost in the shuffle of the daily news cycle, so we’ve compiled a comprehensive list below. Nigeria: (August 28, 2013) In 2012, neighbors Nigeria and Cameroon experienced some of the worst floods in decades, affecting over 7 million people. Before some affected communities had fully recovered, floods struck again last month. Relief Web notes that in July, the floods affected 35, 026 people in 18 states. In anticipation of this year’s floods, Nigeria has been working closely with Cameroon to develop a cross-border flood response plan in an effort to avoid some of the damages and tensions that arose between the countries in the wake of last year’s floods. Laos: (August 27, 2013) Flooding and heavy rain in Laos have displaced thousands. The UN estimates damage is currently at more than $17million. Damages include “thousands of hectares of rice paddy” and the decimation of livestock since rains began in June. Russia: (August 21, 2013) Russia’s Far East, a major agricultural region, is suffering from an extreme flood. Russia Beyond the Headlines notes: “Russia’s Far East has fallen victim to unprecedented flooding that is far worse than its oldest residents can recall or since records began. The afflicted area covers 400,000 square miles — the equivalent of Oklahoma, Texas and New Mexico combined…Amur Region is Russia’s primary soya-growing region, producing more than half of Russia’s soybean crops. There is no trace to be seen of them under the water.” The article goes on to note: “Regions in China’s Heilongjiang Province, which are separated from Russia by the Amur River that forms part of the international border, are also suffering from similarly catastrophic flooding, with fatalities currently at more than 200.” It is unclear what this mean at this point for the response, and for relations between the two nations (and winter is coming). Philippines: (August 19, 2013) Reuters reports: “Heavy rain in the Philippine capital forced the closure of government offices, schools, banks and most private companies on Monday, and residents in parts of the city and nearby provinces had to flee from their homes because of floods.” Since then a reported 75% of the 868,700 displaced have returned to their homes, but flooding continues in the low-lying provinces and aid is still necessary in those areas. Mexico: (July 22, 2013) The heaviest rainfall in 25 years displaced more than 1,000 people in northern Mexico. India: (July 8, 2013) Dhanasree Jayaram published a compelling article on the New Security Beat looking at how the devastating flooding in Uttarakhand this summer demonstrates the importance, especially for the military of India, of taking environmental security seriously. 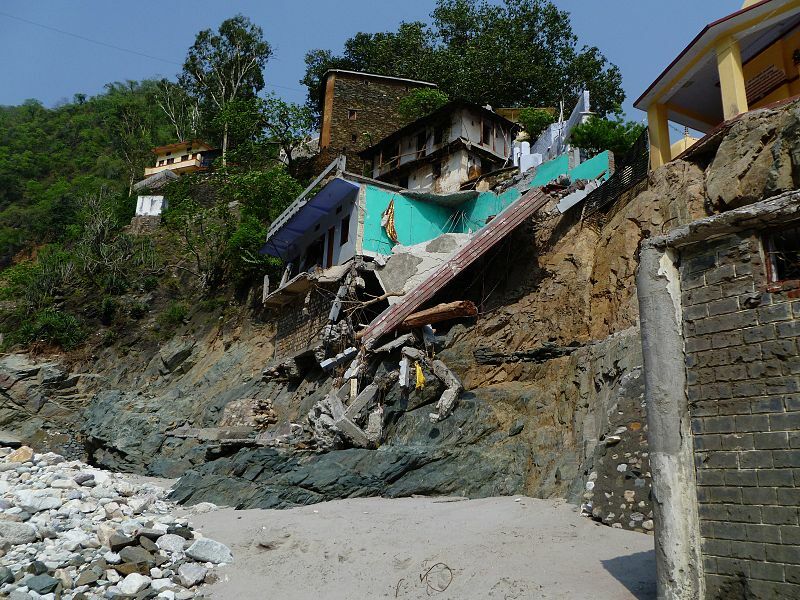 Reuters notes that as recovery begins in Uttarakhand, other regions of India are battling heavier than usual pre-monsoon rains, hampering the ability to get aid to Uttarakhand. By Caitlin Werrell and Francesco Femia in climate and security on August 29, 2013 .